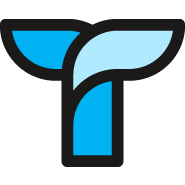 How to invite users to Tettra. To invite teammates click on your avatar and click on "Team Settings" in the dropdown. In your team settings, navigate to the "Teammates" tab. Here you'll see all the users who have already created accounts in Tettra. Click the "invite teammates" button in the top right. 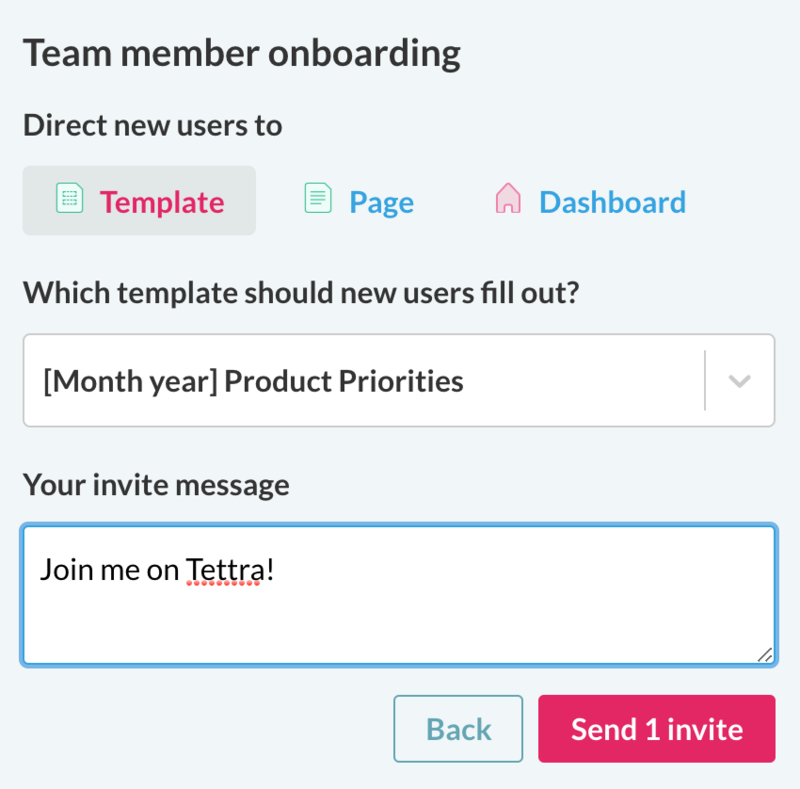 Here you can select who you want to send invites to and also set their role. 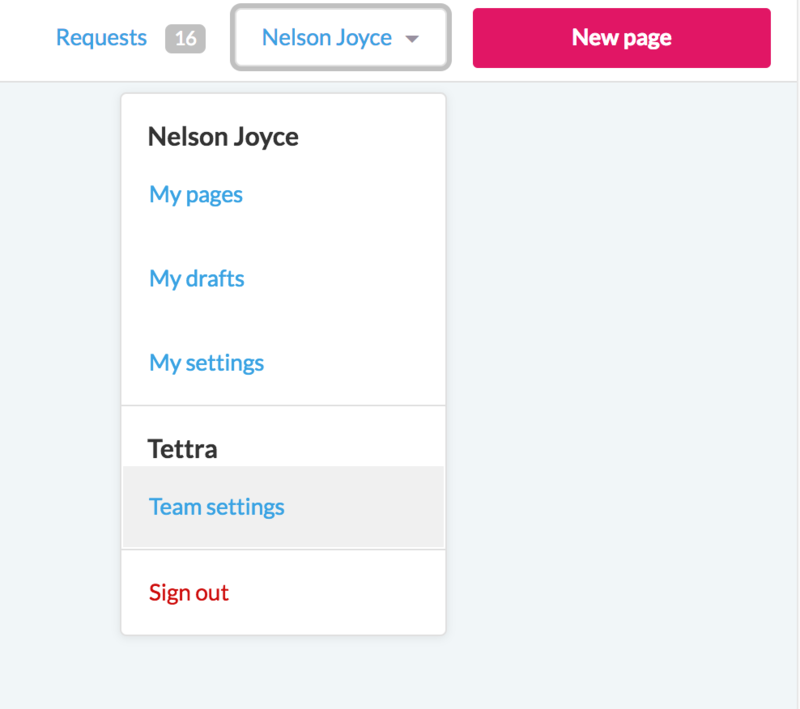 You can select all remaining users from your Slack team or just pick a few. You can also invite users by email. Once you've made your selection, click "Next". You can then decide where the new user will be directed after logging in, which template they should fill out, and also add a personal message to the invite. Invite lost in your user's inbox? You can easily resend a pending invite by clicking the 3-dot icon to the right of the user's profile and selecting 'Resend invite'.